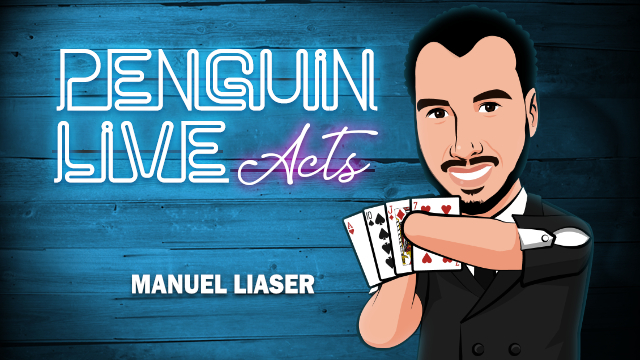 Today, when you order "Mahdi Gilbert LIVE ACT", you'll instantly be emailed a Penguin Magic gift certificate. You can spend it on anything you like at Penguin, just like cash. Just complete your order as normal, and within seconds you'll get an email with your gift certificate. This is my intimate close-up set with cards featuring some of my most powerful material. In the beginning the audience has no idea who I am, both as a person & as a magician. Experience has taught me that my first impression must be strong & reel the audience in. I open with a visual & direct piece of card magic to capture their attention and gain their interest. Once I have that I slowly bring them into my world, forcing them to leave their everyday reality and enter into my inner world which is a place that anything can happen. Playing cards come to life and transform in front of their very eyes. What is lost is found, what is buried rises, what is kept secret is revealed. We all start as distant strangers and by the end we have bonded by incredible & impossible experiences. 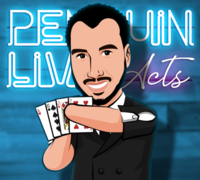 Mahdi Gilbert is a Canadian professional sleight of hand card magician, who was born without hands or feet. 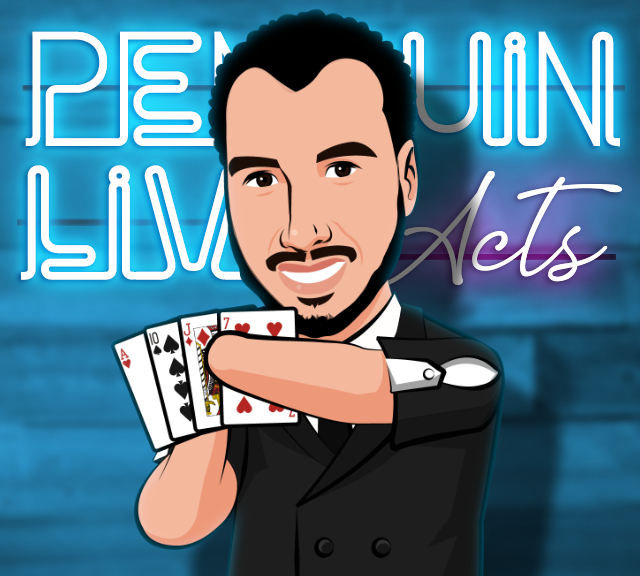 Mahdi appeared on the third season of "Penn & Teller: Fool Us", and fooled the duo, granting him a trip to Las Vegas to appear as their opening act. Gilbert was in the documentary Our Magic, and also contributed to the research of the book The Greatest German Living by the late Ricky Jay, which is about Matthias Buchinger, who was a magician born in 1674, similarly without hands or feet. Mahdi was forced to reinvent magic for himself, literally redefining how a deck of cards can be handled. He performs wonders without hands, walks the Earth without feet and is a living miracle to everyone he meets. A rare gentleman and scoundrel, Mahdi palms without palms, shuffles without fingers and is living proof that nothing is impossible. Purchase this product and on March 17th anytime after 12:00pm Eastern, click the MyPenguinMagic area at the top of the Penguin site. You'll see the "learn" button appear next to this lecture. Mahdi is a delight to watch, as a performer/entertainer and as a teacher. He really prides himself on the history and solid foundation of magic and it shows. His set is hilarious and he gives a great performance from start to finish. If you want to learn a thing or two about showmanship, witty patter and audience interaction then you need to get this. Mahdi is a creative genius and his set is something you will enjoy adding to your repertoire. Wow!Iam completely blown away! & truly left for lack of words for Mahdi's artistry !His conception of how he organizes each effect & routines construction & performance is outstanding what an amazing & inspirational artist! Without sounding corny & with the utmost respect his ingenuity creativity as demonstrated in his version of triumph & act are a Triumphant Testament of the spirit ! I am a huge believer in the principal of minimizing the actual and apparent effort in a trick: do as much work with your brain in advance as possible, then work as hard as you can on that which is left to do. There's no better examplar of that principle than Mahdi. The work he has put into some classics of magic, both on the execution, audience management, and scripting, is outstanding.